The board of advisors of the New Hanover County Community Foundation (NHCCF) announces that it has reached a milestone in its annual grantmaking. 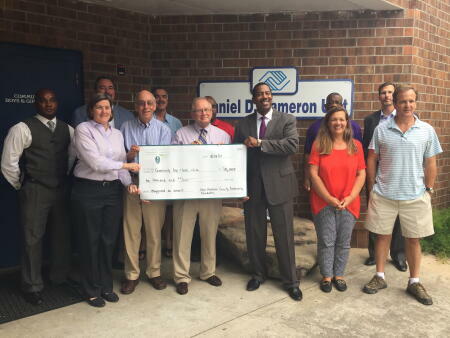 According to Stephen Gaskins, board president, the affiliate has reached $50,000 in giving with this year’s local grants to the New Hanover community. In addition to achieving a milestone in giving, the board also has made some strategic decisions about grants that they believe will benefit the local community. Gaskins said the board has adopted a new giving focus on nonprofit programs serving children. A major reason for NHCCF’s increased grants capacity and sharpened focus is due to a new fund established by Board Member George Taylor and his wife Suzanne. The George and Suzanne Taylor Endowment was created to support local nonprofit programs that serve area youth. As a member of the local board of advisors, Taylor said he was confident that the established process would help distribute his fund’s grants in the most effective, efficient way possible. Gaskins said that the Taylors’ generosity is helping the NHCCF increase its local giving power dramatically. He pointed out that the board also had decided to award fewer but larger grants to increase impact. “I know I speak for the entire board when I say that we are extremely proud to serve as a funding resource in the New Hanover County community,” he said. The NHCCF holds an annual, competitive grants process that begins each spring.